If you go back to 2006, a 24 year-old college graduate named Patrick Harkins had just moved back home from Austin, Texas. 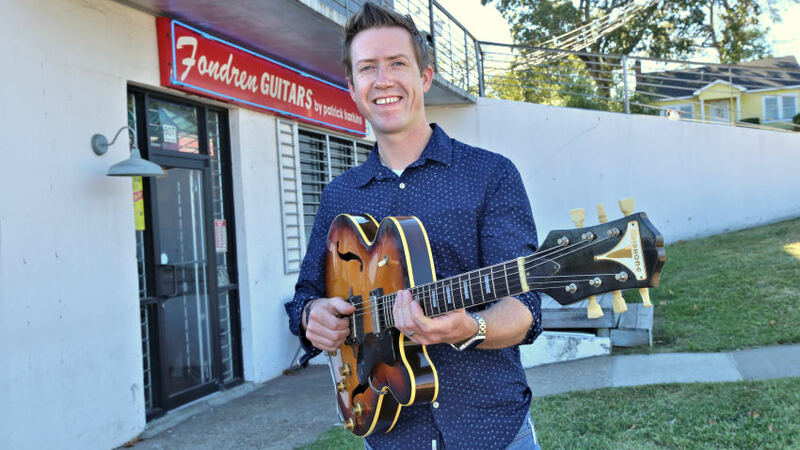 His dream was to open his own a guitar shop like the one he had worked for throughout high school and college. He found a place, built it out and lined the walls with guitars he had collected from all over the country. That was the easy part. He really didn’t think about the fact that soon he would unlock his door and have a store. That was ten years ago, and this month, Harkins celebrates the success of Fondren Guitars by Patrick Harkins.